• Blindness affects 45 million around the world. patients • Many of the ______ are so poor that they don’t have the money to travel to hospital. 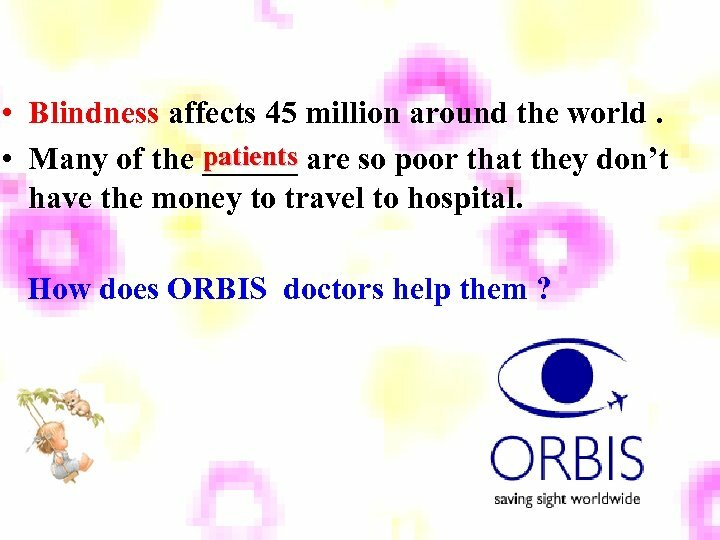 How does ORBIS doctors help them ? A flying eye hospital Volunteer doctors perform _____ on the operations plane. It is also used as a teaching center. They _______ teach local doctors and nurses new skills and share their knowledge by _______ them. 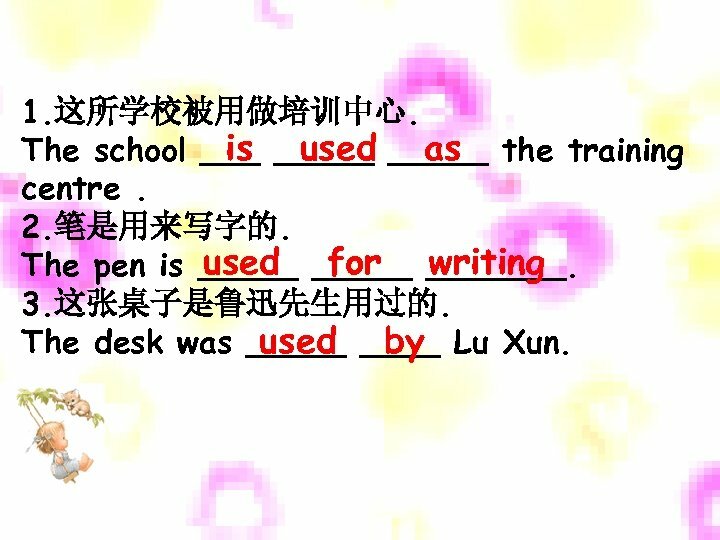 training be used as 被----当做 English is used as a second language in most schools. 1. What is China proud of ? 2. China is proud of the Great Wall. 2. What is Langlang’s parents proud that ? They are proud that they have a successful son. 1. 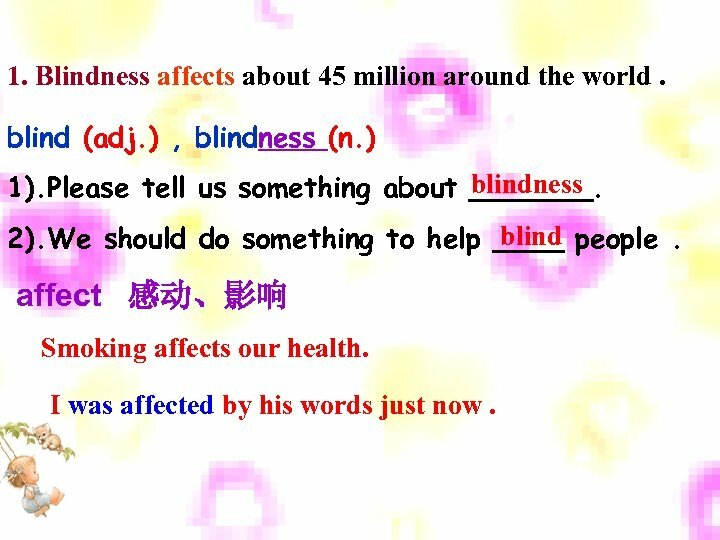 Blindness affects about 45 million around the world. blind (adj. ) , blindness (n. ) blindness 1). Please tell us something about _______. blind 2). We should do something to help ____ people. affect 感动、影响 Smoking affects our health. I was affected by his words just now. 2. 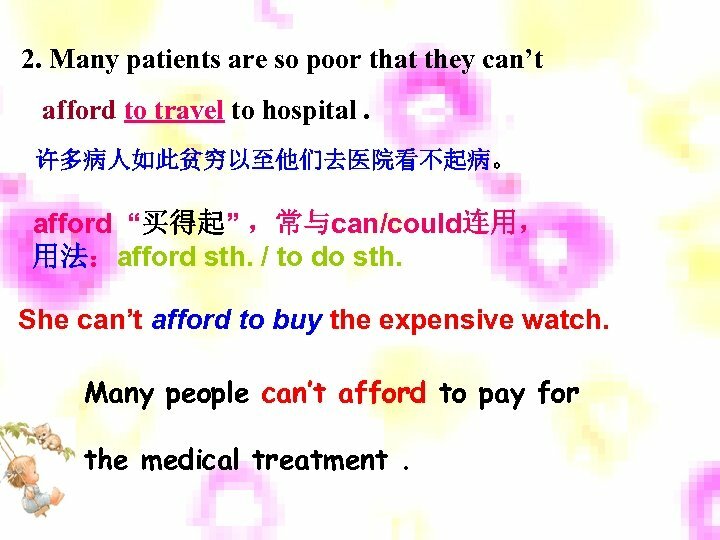 Many patients are so poor that they can’t afford to travel to hospital. 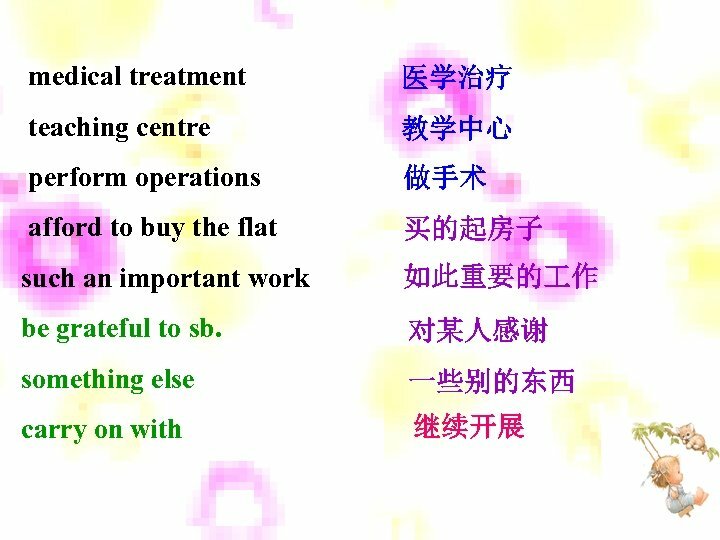 许多病人如此贫穷以至他们去医院看不起病。 afford “买得起” ，常与can/could连用， 用法：afford sth. / to do sth. She can’t afford to buy the expensive watch. Many people can’t afford to pay for the medical treatment. 3. 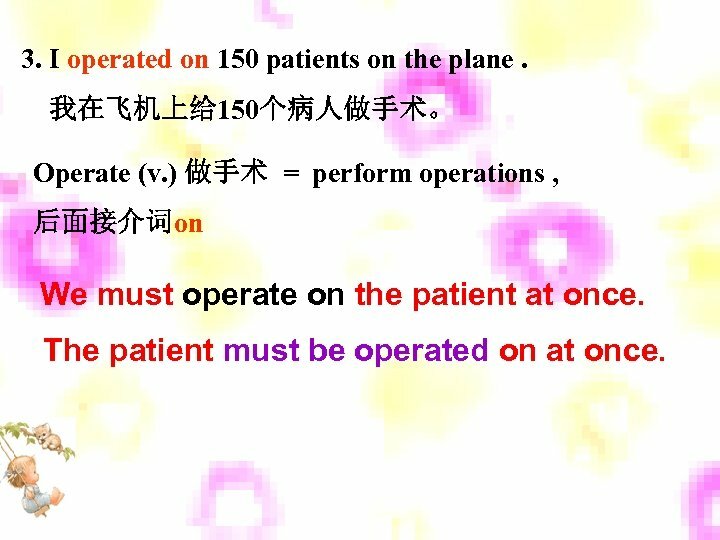 I operated on 150 patients on the plane. 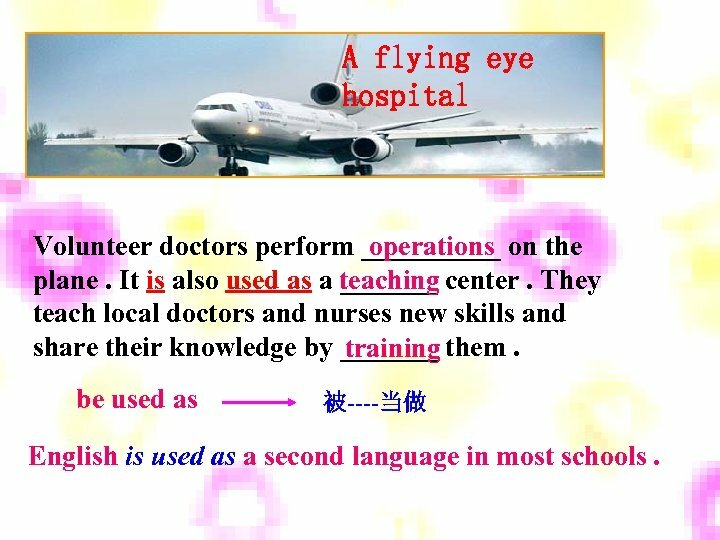 我在飞机上给 150个病人做手术。 Operate (v. ) 做手术 = perform operations , 后面接介词on We must operate on the patient at once. The patient must be operated on at once. 1. 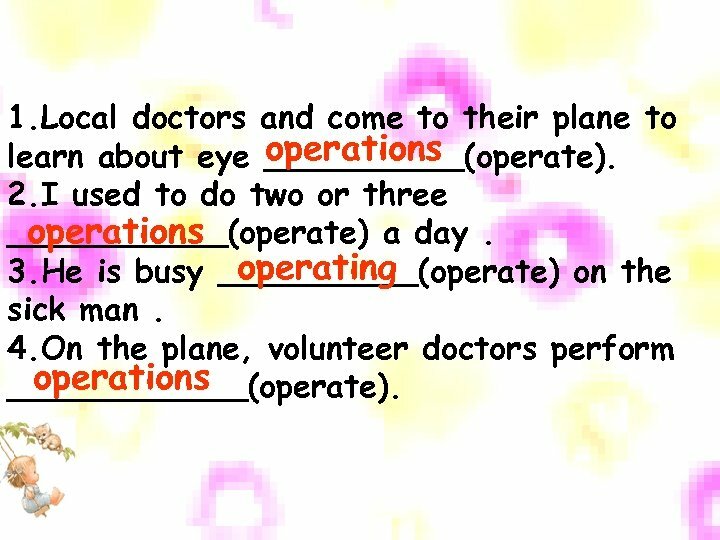 Local doctors and come to their plane to operations learn about eye _____(operate). 2. I used to do two or three operations ______(operate) a day. operating 3. He is busy _____(operate) on the sick man. 4. On the plane, volunteer doctors perform operations ______(operate). 4. I used to do two operations a day. It’s hard work but now I am used to it. 我过去一天做两个手术。它是一件艰苦 的 作，但我现在习惯了。 used to do sth. 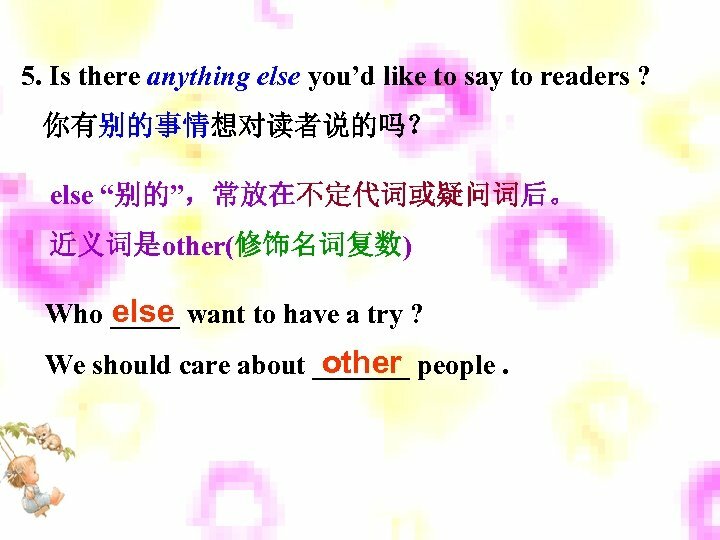 过去经常做 be used to sth. 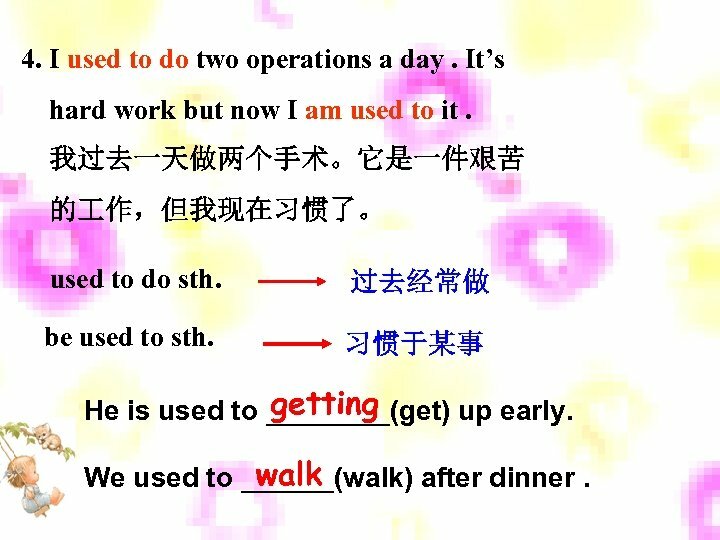 习惯于某事 getting He is used to ____(get) up early. walk We used to ______(walk) after dinner. 5. 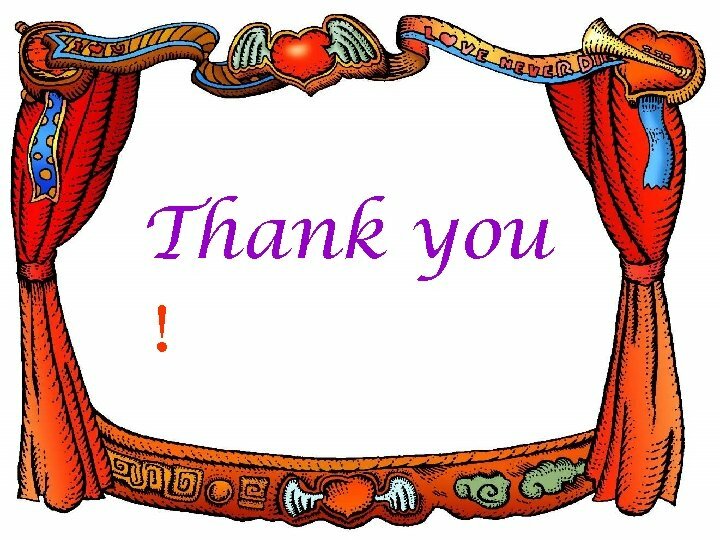 Is there anything else you’d like to say to readers ? 你有别的事情想对读者说的吗？ else “别的”，常放在不定代词或疑问词后。 近义词是other(修饰名词复数) else Who _____ want to have a try ? other We should care about _______ people. 5. We can treat and cure most eye problems and improve the lives of patients. 我们可以治疗并治愈大部分眼部问题和改善病人的生活 treat 治疗、对待 treatment (n. ) ；cure 治愈 Don’t treat me as a child. 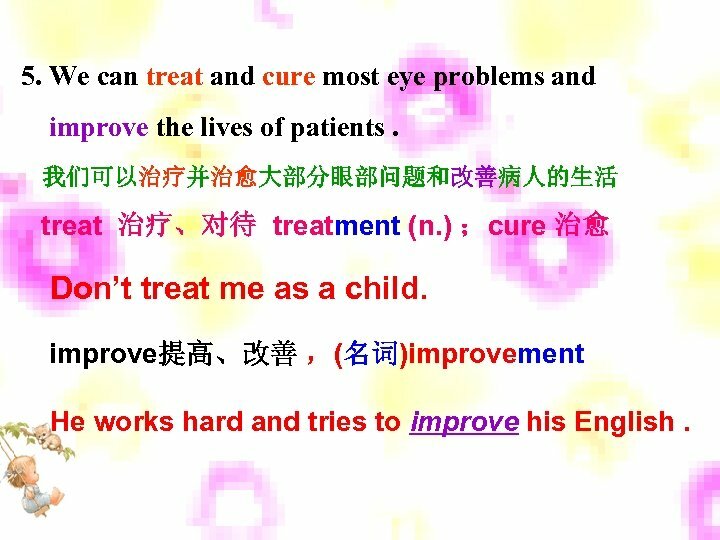 improve提高、改善 ，(名词)improvement He works hard and tries to improve his English. 7. 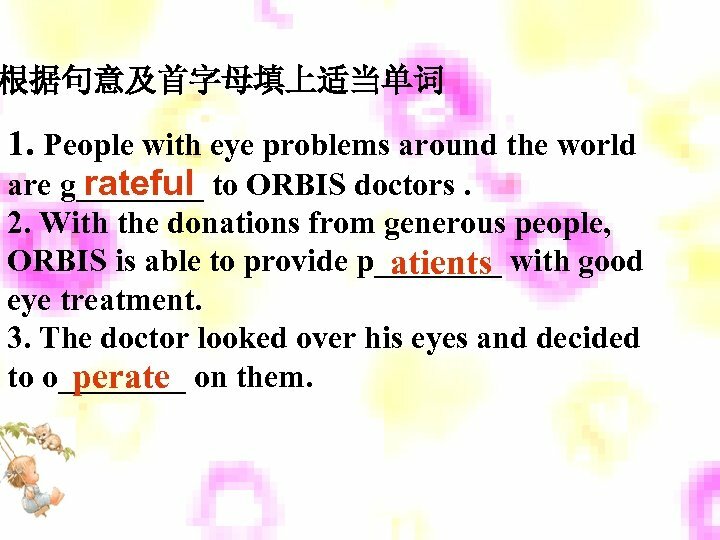 We hope people will support our work by sending donations to ORBIS. 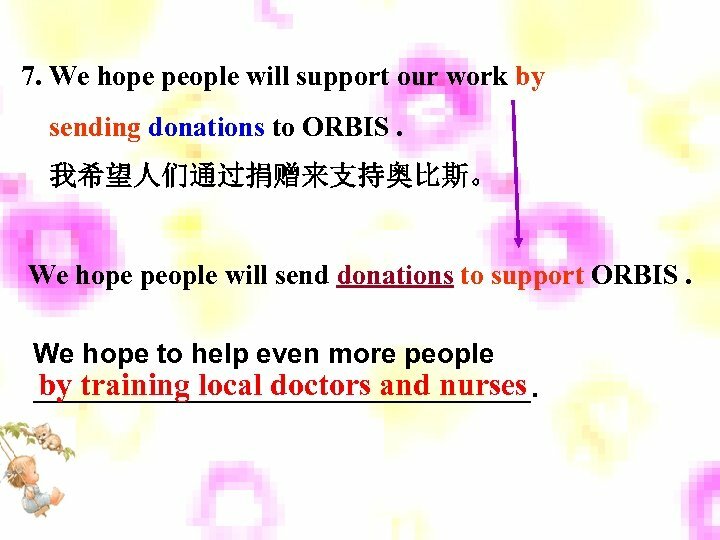 我希望人们通过捐赠来支持奥比斯。 We hope people will send donations to support ORBIS. We hope to help even more people by training local doctors and nurses ________________. fford 1. The price of the flat is so high that I can’t a______. 2. They help people who are b lind and poor. 3. 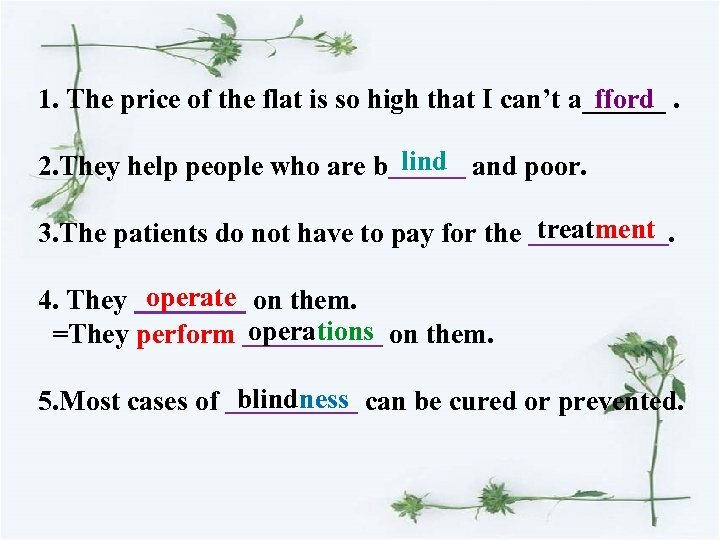 The patients do not have to pay for the treatment. 4. They operate on them. =They perform operations on them. 5. 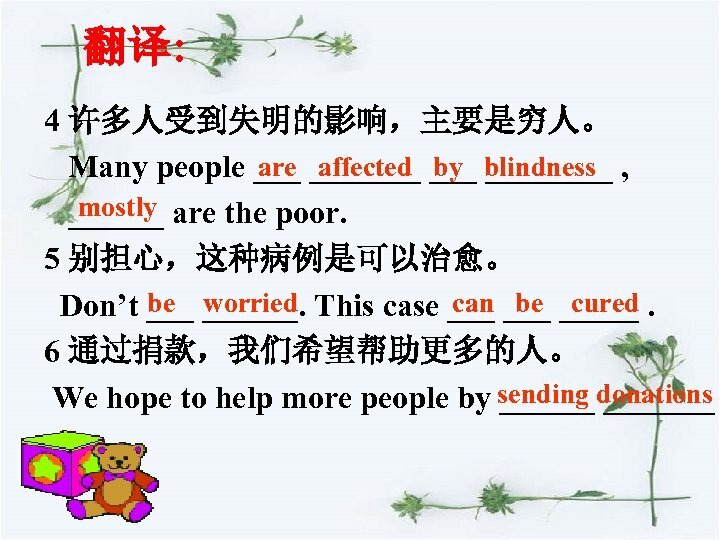 Most cases of blindness can be cured or prevented. 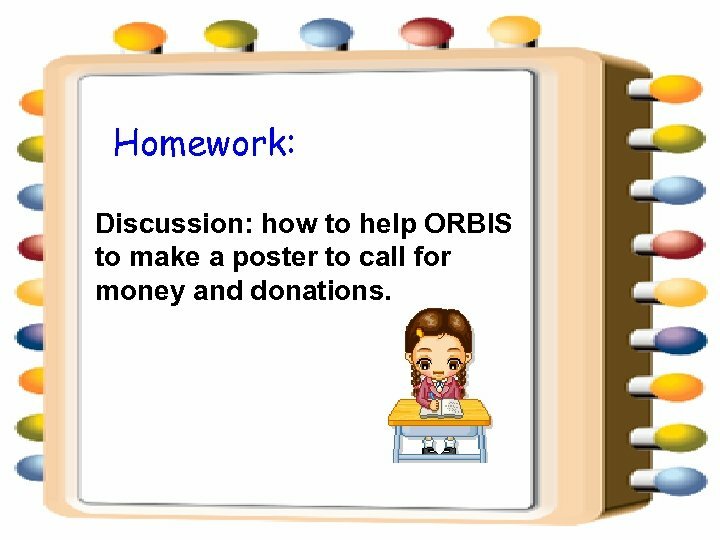 Homework: Discussion: how to help ORBIS to make a poster to call for money and donations.